HONG KONG -- Smoking at work will cost you more than a week of precious vacation time at one Japanese company. Piala, a Tokyo-based marketing firm, has started giving non-smoking employees six additional paid days off a year. The company says the idea came from an employee who complained that colleagues who smoked often worked less because of the cigarette breaks they took throughout the day. That led the agency to come up with what it's calling a "win-win" solution. "We don't give punishment for smoking," said Piala spokesman Hirotaka Matsushima. "Instead, we offer a benefit for not smoking." Employees used to think it was unfair that smokers "spend about 15 minutes each for a cigarette break," he told CNNMoney. The situation was compounded by the fact that smokers often ventured down from the company's office on the 29th floor to a smoking area in the basement. Altogether, the cigarette breaks kept many employees away from their desks for about 40 minutes each day, according to Matsushima. About 1 in 5 adults in Japan smoke, and smoking rooms are commonly found in offices and public establishments. That may change as the government tries to crack down on public smoking ahead of the 2020 Tokyo Olympics. A number of companies have recently begun banning employees from smoking at work, with smoking rooms being used for other purposes. 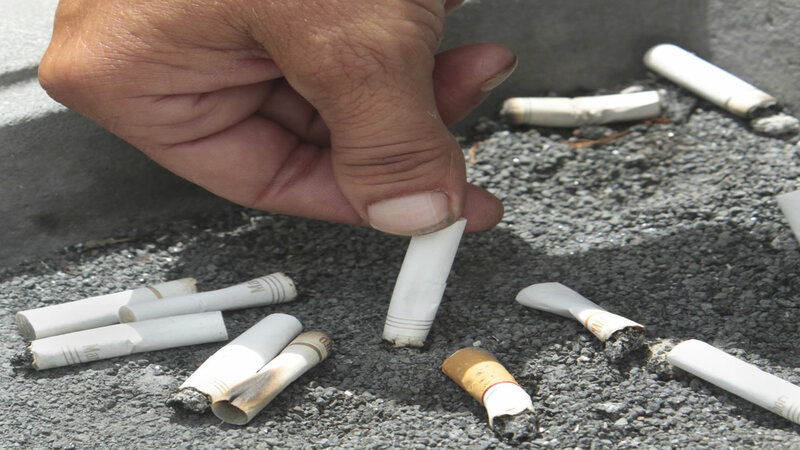 Last year, local media reported that the Japanese Health Ministry ordered officials to go for a walk after cigarette breaks to prevent the smell of tobacco from affecting others at work. Since Piala introduced its new vacation incentive in September, 4 out of 42 smokers on staff have given up, Matsushima said. One of them, 25-year-old Shun Shinbaba, told CNNMoney he used to go through a pack of cigarettes every two days. He plans to use his extra time off to play tennis. Unsurprisingly, staffers who don't smoke have been pleased with the bonus time. "Without doing anything, their vacation increases by six days," Matsushima said. -- Chie Kobayashi contributed to this report.